A few weeks ago James Spencer recorded an interview with my buddy Nathan and I about our experiences doing solera brewing and aging beer in oak barrels (we are bottling our first effort next weekend). It was just posted and worth a listen if you've got the 50 minutes. I also put together a spreadsheet (download) that gives you the average age of a single barrel solera system with different pull period, rate, and time before the first pull. Nathan and I have been talking about putting a barrel in my basement to house a two man solera operation, replacing probably 10 gallons every six months or so. We are thinking of a pale sour (lambic-ish) beer in a white wine barrel, but there will be more details to come on that as the time gets closer. Anyone else out there have barrels or a solera going? I have a solera in a carboy that I just bottled the first pull from. It was bottled after aging 4 months and is absolutely wonderful. That is a short aging time but it only got bugs when I racked it to secondary at 1.010. Future pulls will be less frequent and likely funkier. And possibly blended. Best I can describe it is a big Flemish sour. I am planning on doing a similar solera or two - flemmish red and lambic, however it seems none of the local wineries are ready to give up some barrels. (nor am I ready to pay to ship any from out of state) so I wait anxiously until they call my name from the waiting list. Ah, found it on wikipedia. I do an analog of that with kombucha. I've got a Flanders Red solera using 2 Better Bottles and an ounce of oak cubes in each. Brew a new batch annually in 1 carboy, then blend with the other carboy after 12 months (bottling 50%, saving the other 50% for next year). Haven't bottled any yet, but finally will be in January (50% blend of 8 month and 20 month). I have a barrel solera going with 2 buddies in TKPK, right near you Mike. We made a 65G lambic last weekend and plan to pull 50% for the first 2 years (and replace with fresh wort) with a 100% pull the final year. Sounds like some excellent projects going on. Glad to hear so many people are giving soleras a shot (both small and large sizes). Ryan, glad you guys were able to get that thing filled. Hey, Great place for info. and inspiration. You are truly a brewers brewer! I would really like to check out the spreadsheet you made, but couldn't download it. The link is dead as far as I can tell. Email works: scottieie(at)gmail(dot)com. I just updated the link in the post. I made some enhancements a few months ago, and forgot to change the link. Thanks for the link fix. 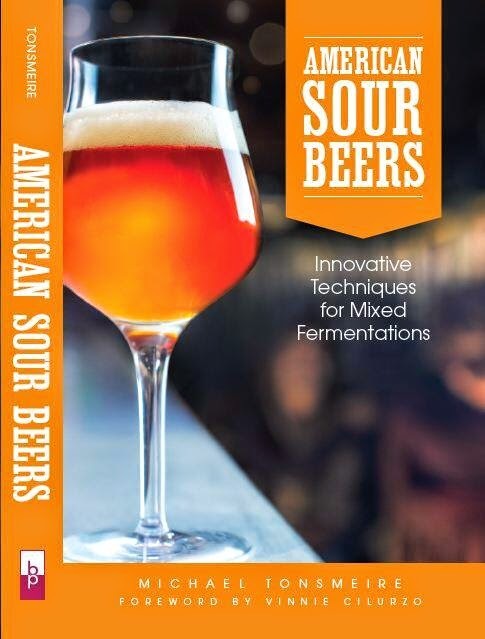 Do you have any information on building fermentation vessels? I know you are partial to barrels, but was looking to build up a fermenter that could house about 20 gallons of brew. A sanke would be too small, but a sanke and a pony keg welded together might be just what I need? Any links or posts I should look at, on home made vessels would be great! That is very much out of my area of expertise. For short term primary fermentation a food grade plastic vessel would probably be a good/cheap alternative, but for a solera stainless steel certainly seems like the way to go. Let me know what you end up with.